There is no easy way into an anthology of primary source texts of German-language film theory, originally published between 1907 and 1933, featuring well over 250 carefully curated texts appearing for the first time in English-language translation. Some of the texts—primarily diaries and letters located by the editors in public or private archives and collections—are being published here for the first time. And yet, despite its size, The Promise of Cinema is a welcoming volume. 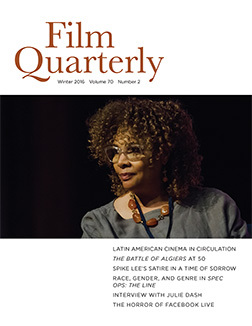 The introduction begins with a statement concerning scholarly discussions and debates about the future of cinema from the early-twenty-first-century digital vantage point, one that provides a provocative screen: “The Promise of Cinema thus reconceives film theory as a field of possibilities, expectations, and propositions” (2). This statement by editors Anton Kaes, Nicholas Baer, and Michael Cowan helps to frame the multivalent and multivocal writings presented in the text. Most are written by theorists and filmmakers with whom film scholars and film enthusiasts are familiar, but rather than reproducing, re-editing, or retranslating their previously published works, Promise debuts texts by Arnheim, Balázs, Eisner, Kracauer, Lang, Leni, Moholy-Nagy, Murnau, Pabst, Richter, Riefenstahl, Ritter, Ruttmann, Weill, and more that have never been published in English. And, refreshingly, Promise includes several key texts written by anonymous authors. As I poured over this volume, preparing to interview the editors, I imagined the ways in which these texts could come to life in environs ranging from a media studies classroom to a staged performance or reading in a darkened theater—in each case, accompanied by a series of projected images. Then I discovered that the editors of Promise were thinking along the same lines; they have launched a companion website for this volume: www.thepromiseofcinema.com. 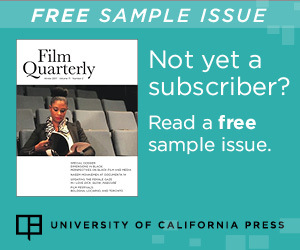 Their website is an active resource for scholars, students, and cinephiles. The book is wisely divided into three thematic sections—Transformations of Experience, Film Culture and Politics, and Configurations of a Medium—which are then further subdivided into 18 chapters. These chapters follow a linear chronology in terms of the presentation of key texts within each chapter, showing the seed of an idea and how it potentially germinates. However, there is no need to obey this chronology: one could choose to enter into the book at “Chiffres of Modernity” (chapter 12) and jump from Georg Lukács expressing his “Thoughts toward an Aesthetic of the Cinema” in 1911 to Walter Benjamin’s 1931 musings on Mickey Mouse, and then skip to “The Magic of the Body” (chapter 4) and hone in on Lotte Eisner and Rudolf von Laban’s 1928 essay, “Film and Dance Belong Together.” The editors provide an inviting statement in their “User’s Guide,” emphasizing the principles of montage and assemblage that allow readers to reorganize the texts as they see fit. As I took advantage of this invitation to chart my first course (I have a feeling there will be many more) through Promise, from Béla Balázs’s “Farewell to Silent Film,” to the Anonymous essay “How Singing Pictures (Sound Pictures) Are Made,” and then to Walter Ruttman’s “Principles of the Sound Film,” I began to imagine which film clips I might pair with these readings for a live performance. My path skipped through the texts in Section 3 from Balázs and Anonymous, which focus primarily on film as an instrument of education, advertising, and persuasion. Yet, I read them in their entirety, and in fact, I recognize that their placement in Promise is a most productive bridge connecting theorists and historical moments. This last section of the book in fact re-roots the theories and writings in Promise in a particular historical context and moment. In doing so, Kaes, Baer, and Cowan seem to instinctively understand that such perambulations are not the least bit reductive. Rather, they have the effect of doubling the returns for the reader, and to borrow a technical term from sound studies, they function to “amplify” twentieth-century texts for a twenty-first-century context. It is critical to note that this anthology’s 278 texts were written during the periods of growth and development of silent cinema, and most importantly for the works noted above, during the moment of transition from silent to sound. This was a period in which German cinema flourished technologically and artistically, prior to the rise of National Socialism, which effectively squelched many of German cinema’s most progressive thinkers and shifted the spotlight from Europe to the United States, as German intellectuals and filmmakers fled their homelands. Today, the international film industry finds itself at another technological crossroads—embroiled in debates on film versus digital production and projection. Kaes, Baer, and Cowan’s carefully curated and meticulously edited text is as important for the future of media historiographies as it is for understanding genealogies of early German film theory. Regina Longo: Can you describe your research and selection process? Did you choose texts that would further illuminate the writings by these individuals that are already available in English, or were your considerations something else entirely? Longo: You clearly want to be “speaking to the present” with this book, but do you think a theory anthology is still relevant for cinema studies today? 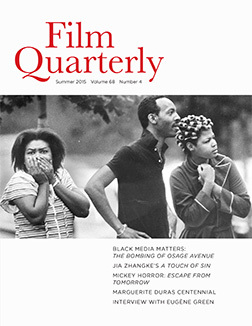 Michael Cowan: This was one of our guiding questions: how can we rethink the purview of a “sourcebook” at a time when film studies is undergoing so many far-reaching transitions? Digital studies and related fields are challenging our understanding of everything from film ontology to archives to cinephilic communities. These transitions, in turn, have brought new aspects of the past into visibility. 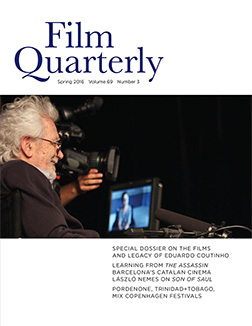 Categories such as “useful” cinema, as well as emergent fields such as media archaeology, have been centrally concerned with mapping out new genealogies of moving images (e.g., Thomas Elsaesser’s S/M histories), as well as new models for articulating present and past.1 As a result, what it means to be a cinema scholar today—what stories to tell, what objects to focus on, what aspects to foreground—is very much up for grabs. 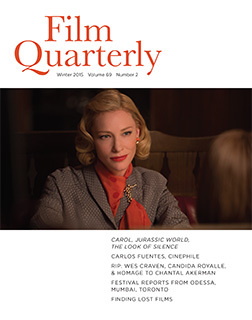 So it no longer seemed adequate to limit the anthology to familiar milestones in a history of film art. We also wanted to show how early writers were thinking about things like amateur filmmaking, animation, archives, convergence, fan cultures, interactive cinema, mobile screens, science, surveillance, television, and many other evolving “ideas of cinema” (to borrow a term from Francesco Casetti).2 When you look back with these questions in mind, you can find amazing texts that would have passed under the radar just a few decades ago. And I would stress that this isn’t merely an additive process, but also a question of rethinking familiar topics. 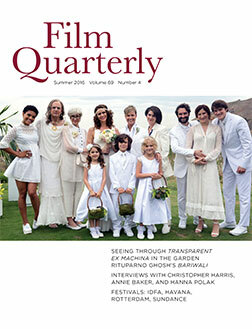 For example, the idea of film as art (which was central to the German discussion of film) also involved a wide-ranging intermedial dialogue with the fields of painting (Ruttmann, Richter, Diebold) and dance (e.g., Rudolf von Laban’s interview with Lotte Eisner about the uses of Tanzschrift for film acting). This proliferation of questions and categories creates its own challenges of management, especially since we still wanted to document some of the essential developments during the twenty-five years that were featured. So we wanted to work out a structure that would operate on at least two tracks: mapping out salient historical sequences while also introducing questions that radiate outward beyond their own context (and ultimately toward the present). As a result, the sections and chapters embrace a certain heterogeneity: some cover more empirically verifiable developments (e.g., film and censorship, trajectories of sound film), while others are more abstract (e.g., ideas about cinema’s effects on space and time). Above all, we wanted to approach this period as one of openness, where a “feeling of futurity” outweighed desires to master cinema and its visual language. A sourcebook is a wonderful form for capturing that sense of contingency since it allows historical discourse to unfold, as it were, “in the moment.” Like Tony, I’d think of this book as an archive of questions rather than answers. In that sense, too, it speaks to the current period of disciplinary transition. Longo: Can you say more about how these texts link to film philosophy and intellectual history more broadly? Nicholas Baer: Apart from its contribution to the history of film theory, our volume indeed makes a more implicit intervention in the discussion of philosophy and film, one of the most exciting and rapidly growing areas in both disciplines today. In his latest monograph on the subject, D. N. Rodowick locates film philosophy in writings by Stanley Cavell and Gilles Deleuze, suggesting that philosophical engagement with film is a relatively recent phenomenon—and one that is moving to the fore, in Rodowick’s words, as “film bows from the stage of history.”3 Our sourcebook, by contrast, shows that film was already regarded as a medium of thought in the early twentieth century, through selections by Alfred A. Baeumler, Eduard Bäumer, Ernst Bloch, Rudolf Harms, Ernst Jünger, Georg Lukács, Carlo Mierendorff, Kurt Pinthus, Georg Otto Stindt, and members of the Frankfurt School. As this list indicates, we also move well beyond the canonized thinkers and ethical concerns at the center of Rodowick’s study, opening the discussion to a more expansive base of writings and a wider array of branches and movements of philosophy. Our sourcebook reveals the remarkable extent to which German commentators engaged with both intellectual history and contemporaneous philosophical debates. 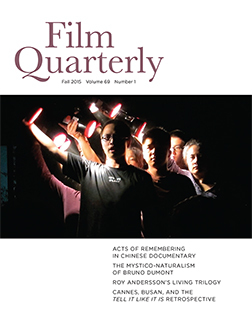 It bears noting, as well, that the documents featured in the book represent a broad range of views on the very possibility of linking film and philosophy. Bäumer’s 1911 essay, “Cinema and Epistemology,” for example, invokes theories of motion extending from Heraclitus to Constantin Brunner and—in contradistinction to Henri Bergson—asks: “Why couldn’t the cinematograph be employed even for the highest theoretical knowledge of nature, or for philosophy?” At the other end of the spectrum, you encounter a text like Milena Jesenská’s “Cinema” (1920), in which the writer associates film not with profound insights into physical reality, but with the reduction of complexity in an ambiguous, often-bewildering world—one that fails to sort into Manichaean dualisms and melodramatic roles of victims, villains, and heroes. Longo: Could you explain a bit about how the specificity of the theories in the book differs from later film theory? Is that reflected in your title and your notion of this volume as a “sourcebook”? While a 680-page documentation may appear as a historicist endeavor of the sort that Kracauer critiqued in that essay, our sourcebook does not seek to reconstruct a temporal continuum, but is instead structured around the concept of nonsimultaneity. Moreover, as a collection of early theories of film, our volume is less invested in showing “how things actually were,” in Ranke’s oft-cited phrase, than in exploring how they might have been. This subjunctive mode of engaging with the past was a mainstay of Frankfurt School critical theory, whether Benjamin’s messianically tinged historical materialism or Horkheimer and Adorno’s statement: “What is at stake is not conservation of the past but the fulfillment of past hopes.”7 It would later inform Koselleck’s interest in “futures past” as well as Foucault’s genealogical method. In assembling the volume, we seized the opportunity not only to signal the many “roads not taken” in the development of visual and sound technologies (in the vein of recent media archaeology), but also to redress historical injustices: voices that were underrepresented, thinkers forced into exile or even murdered, leftist visions that were thwarted with the rise of totalitarianism. The political project of the book thus lies in keeping the unrealized ideas of the past alive and vital. This project is especially crucial in our own moment of post-utopian, melancholic resignation, when it seems that the social experiments and possibilities of the last century are foreclosed, suggesting a lack of viable alternatives. Longo: How can your book help today’s thinkers and agent provocateurs to think beyond the modern, utopian projects of early twentieth-century cinema that many of these writings address? Cowan: On one level, such utopian projects are an important part of the historical record. They were products of a time when institution-building and reform programs were self-evident ways of responding to the dislocations of modernity. Many of our texts have concrete links to such initiatives. Fritz Lang’s euphoric vision of film as a universal language, for example, came in the context of a 1926 League of Nations conference on the uses of film. Many cinema reformers were directly involved in movements of education reform, while other writers, such as the art historian Max Osborn, also adhered to programs of physical culture, and so on. Some of these utopian projects can appear as missed opportunities, as Nick pointed out, while others can appear ominous in hindsight. What can be gained from studying all of this today? After all, these are arguably the moments in the book that can seem most dated for a contemporary reader. But this sense of obsolescence also has a certain productivity (not unlike those obsolete visual details from the old films that Kracauer discusses in the closing piece, “The Border of Yesterday”). It can work to defamiliarize our own media narratives. New media discourses have not been without utopian associations (albeit these were often aimed against the old projects of mass modernity). The internet of the 1990s was supposed to be a “freedom frontier,” which would replace the walls of the Cold War with a space for individual self-realization. But just as in early cinema, such predictions can age quickly, and today we’re surrounded by more fearful scenarios of infallible surveillance and omnipresent data-collection. (Early film culture likewise had its share of fearful visions, many of them strewn throughout the book.) For my taste, the most lucid work on film and media has learned to step back from all-encompassing narratives about technology’s effects on individuals or society, even as it takes their tenacity into account.8 And I think the sheer multiplicity of utopian prognostications documented in the book points to the presence of other factors beyond the immanent qualities of media themselves. One can also take this question from a more strictly technological angle. Last week, I picked up an inflight entertainment magazine with an article speculating on the future of air travel. It predicted that airplane cabins will become mobile VR environments, the ceilings and walls replaced by screens. When you fly over cities, you’ll get virtual tours of skylines and urban attractions. When you pass over the English countryside, you’ll see meadows and hear birdsong.9 This is a textbook example of “imaginary media.”10 There were many such imaginaries attached to early cinema. Viewed across the distance of intervening history, some seem remarkably prescient, but I’m also struck by the strangeness of many speculations. The examination of historical techno-fantasies (whether VR, holograms, or videophones) offers clues for how to approach such imaginaries today with the requisite distance. That doesn’t mean that contemporary imaginings aren’t interesting, but you can start to ask questions besides whether they got it right. Longo: How do the writings in Promise intervene in the debate within contemporary media studies between a rhizomatic approach to making connections (nodes, nonhierarchical, nonmetric) and the metric approaches that seem to be gaining the most popularity these days, due in large part to discourses surrounding the digital humanities? Cowan: Film studies has been a bit slower to take up digital humanities methods than literary studies, but there are several tools for quantitative data analysis (e.g., Cinemetrics, Project Arclight), as well as other kinds of DH projects, such as experiments in changing the access to narrative film through spatialization (e.g., Cinema Redux). One problem for scholars of German film here is simply the relative lack of sufficient digitized materials. Nonetheless, your question is interesting because it evokes two opposed “promises” associated with digital technologies. The figure of the rhizome in ’80s and ’90s theory was linked to ideas about the digital as a distributed (nonhierarchical) network and hypertext, where users would generate their own paths, whereas digital humanities is largely sustained by a vision of data correlation as a means of revealing “objective” patterns that human consciousness can’t perceive—though DH scholars like Johanna Drucker and Lisa Gitelman are the first to critique the value of objectivity associated with data. Both the “rhizomatic” and “metric” promises of new media scholarship draw on longer theoretical traditions: the first on a more Benjaminian tradition of fragments, labyrinths, and constellations, the second on a long history of statistics conceived as a means of managing quantities of information in mass society. Some of our texts actually draw centrally on the latter tradition. (See, for example, Alexander Jason, “Film Statistics,” 1930), but I think it’s safe to say that our own project positions itself more in the first lineage. We want readers to forge their own paths and make surprising connections. We also want them to experience singular voices in a context of historical contingency. Longo: Your book seems to offer an invitation to further research in this field, given the extent of the resources you’ve marshalled into the accompanying website. Kaes: We are all indeed very interested in encouraging further research, not least because we feel that we have just begun to make use of the enormous sources that have recently become available online. We designed the accompanying website primarily to overcome the limitations of the printed page and to provide a digitized archive of primary materials. To this end, the website offers access to online clips and videos of surviving films mentioned in the Promise of Cinema, and it aggregates early German film books that are in the public domain but often hard to locate. In addition, we want to use the site to explore experimental multimedia writing inspired by ideas from the book but resituating them in the present and tapping into the new resources of the internet. 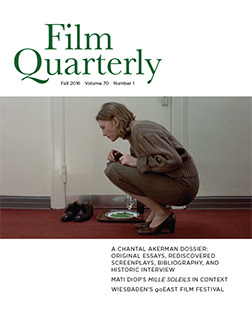 We welcome feedback and contributions from readers, beginning here in Film Quarterly, and would like to make this site a hub for anyone interested in doing further research on early film theory. In this way, we hope to sustain the keen sense of discovery that we felt in putting the book together. 1. See Thomas Elsaesser, “Afterword—Digital Cinema and the Apparatus: Archaeologies, Epistemologies, Ontologies,” in Cinema and Technology: Cultures, Theories, Practices, ed. Bruce Bennett, Marc Furstenau, and Adrian Mackenzie (Houndmills, UK: Palgrave/MacMillan, 2008), 226–40. 2. See Francesco Casetti, The Lumière Galaxy: Seven Key Words for the Cinema to Come (New York: Columbia University Press, 2015), 35–38. 3. D. N. Rodowick, Philosophy’s Artful Conversation (Cambridge, MA: Harvard University Press, 2015), 307. 4. See Benjamin, “Excavation and Memory,” in Walter Benjamin, Selected Writings, vol. 2 (1927–1934), ed. Michael W. Jennings et al., trans. Rodney Livingston (Cambridge, MA: Harvard University Press, 1999), 576; “On the Concept of History,” in Selected Writings, vol. 4 (1938–1940), ed. Howard Eiland and Michael W. Jennings, trans. Edmund Jephcott et al. (Cambridge, MA. : Harvard University Press, 2003), 389–400. 6. Siegfried Kracauer, “Photography,” in The Mass Ornament: Weimar Essays, ed. and trans. Thomas Y. Levin (Cambridge, MA: Harvard University Press, 1995), 62. 7. Max Horkheimer and Theodor W. Adorno, Dialectic of Enlightenment: Philosophical Fragments, ed. Gunzelin Schmid Noerr, trans. Edmund Jephcott (Stanford, CA: Stanford University Press, 2002), xvii. 8. For a good analysis, see Wendy Hui Kyong Chun, Control and Freedom: Power and Paranoia in the Age of Fiber Optics (Cambridge, MA: MIT, 2006). 9. Mike Sennet, “2045: Aircraft,” in British Airways Highlife, November 2015, 70. 10. See Eric Kluitenberg, ed., Book of Imaginary Media: Excavating the Dream of the Ultimate Communications Medium (Rotterdam: NAi, 2006).